CEO: Mr. Quazi Jamil Ahmed is the founder CEO of QSR Systems. He is working hard to make the deference's in the IT field with his all efforts in a result to start QSR Systems. Also to make IT well published in offshore, developing new idea of publicity and product which will create the position for QSR all over in out world. He served for Mark Group, Mark Asia Ltd., and British American Tobacco Company. He is computer science graduate, with a mechanical degree and working in IT sector from year 2000. Chief of Corporate: Ms. Rumana Sultana is the Chief of Corporate. She joined QSR at 2005. After her Joining she provides QSR a new era of culture, facility and good relation convention. Her effort to put Clients, Stake holder with the business relationship was remarkable. She is post graduate in social science, major in human behaviour. Head of Development Team: Mr. Quazi Ahasan Ahmed is the Head of Development. He joined QSR at 2008 while the production in a need of good skilled directions. He makes our entire product in a systematic organization. Ensure the development results. 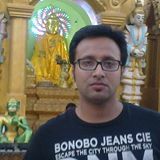 He is computer information system graduate (UK), with a electrical degree and working in IT sector from year 2005. General Manager (Admin & Sales): Mr. Md. Shirajol Islam joined on 2009 as Administrative Officer Showing his passionate performance he succeed to build very good relation with clients door to door also managing the internal affairs of the company. Currently he's General Manager (Admin & Sales) and doing his efforts the grow companies face to client's & efficiently leading the Administration team also. He is Business graduate, working in IT sector from year 2006.